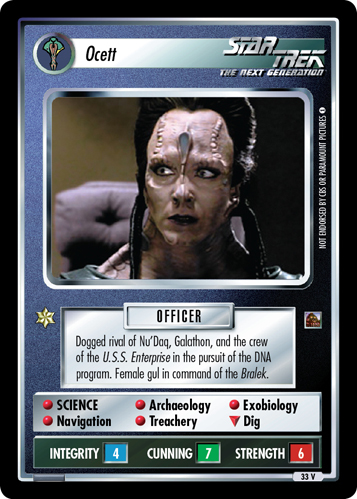 Gul Ocett, Cardassian female officer. 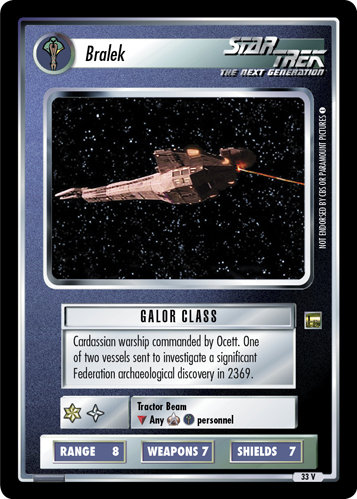 Commander of a Galor-class warship. Pursuer of DNA program.